Who are the UK Cannabis Social Clubs? The UK Cannabis Social Clubs campaign for adult legalisation of cannabis; to provide safer access, with the right to grow at home or in a shared space and purchase labelled, lab tested products through regulated outlets with proof of age. 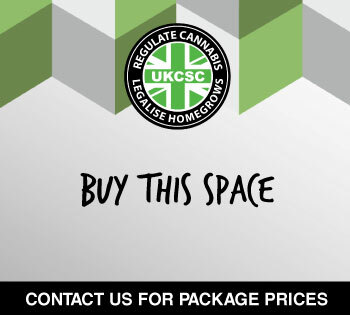 UKCSC is the UK cannabis consumer voice, offering practical and legal advice and guidance to Cannabis Social Clubs, politicians and police forces in order to provide a self regulatory frame work to reduce risks. UKCSC are a not for profit Non Government Organisation founded in 2011 by concerned citizens comprised of experienced healthcare professionals, industry experts, horticulturists, clinical researchers, patients, entrepreneurs and activists from across the UK, United States, Europe and the rest of the world. UK Cannabis Social Clubs are Private Membership Clubs for adult medical and social use acting as a first point of contact for cannabis consumers, patients, advice, general cannabis information, harm reduction and education. In 2009 cannabis was reclassified as a Class B by the Government. A three strike warning and fine system (Penalty Charge Notice) for personal possession was introduced. The UK Cannabis Social Clubs was founded in 2011 when activists came together to look at new ways to campaign locally after national campaigns had failed to gain enough momentum. 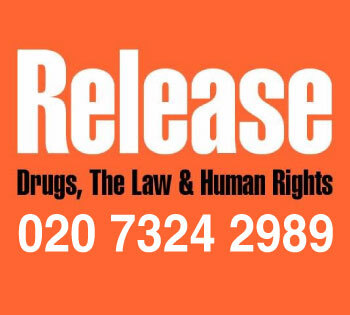 UKCSC believe that the Misuse of Drugs Act 1971 has been misused and abused. People and society have been the victim of this policy. Politicians, police and the press are responsible. Prohibition should be replaced with an evidence based policy that looks towards scientific and social data to help shape it. We would like to see the decriminalisation of personal possession and cultivation of cannabis, and see the legalisation and regulation of commercial cannabis production, distribution and sale. Tax: Cannabis as a commercial industry could contribute through tax revenue towards needed services in society like the NHS. Crime: Cannabis consumers should not be forced to buy their cannabis from sources where proceeds go towards real crime or funding gangs that create real victims. This is a completely artificial chain that has been created simply by the continued enforcement of prohibition. 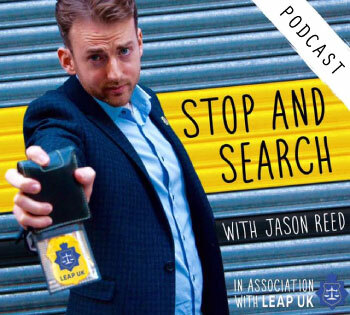 Jobs: Britain could be home from between 10 to 20,000 cannabis industry related jobs which would have a positive impact on unemployment figures while reducing criminal convictions for cannabis offences. Medicine: Patients needs access to cannabis as a medicine now. They cannot wait until lawmakers come to a decision which has so far taken since 1994 and there is still no access. Safer Access: We offer a fresh way for adult and medical cannabis consumers to interact with each other and cannabis, in a way that respects society, community and tries to restore the damage caused by prohibition. Patients need access now. While politicians are deciding how to regulate medical cannabis, we are providing help and support to thousands of patients who simply cannot wait any longer, they are in pain now, and as patients ourselves we feel under duress to offer moral support. Cannabis Social Clubs (CSC’s) are individual entities that exist as private membership community groups and clubs. We have written a model to help guide and support individuals that cultivate cannabis for personal and medical reasons, and a format for clubs to operate responsibly in the UK. As a national body we facilitate the exchange of useful information, ideas and experiences among our members and clubs. We aim not to just follow news stories but make them also which we have been successful in with consistency year after year. UKCSC’s engage in dialogue with local and national politicians, Police Crime Commissioners and other figures of authority and influence so they can be informed about what the local people want, and in order to pressure the Government departments that influence drug policy reform. We promote peaceful activism aimed at the media and public opinion, in order to stimulate public debate on the need to end prohibition and the unjust, unfair criminalisation of cannabis consumers. Clubs take membership fees annually so that members may participate in weekly or monthly social meets or activism engagements. Some clubs have already attained their own premises through fundraising, which they open to members 1-3 days per week. Cannabis Social Clubs provide a safe social setting for cannabis consumers to relax or medicate in while being able to share the company of others. You must be recommended by a friend in order to join a club or make contact with them before visiting a premises or coming to an event. CSC’s do not sell cannabis but members can bring their own and are encouraged to grow their own using the UKCSC home growing guidelines as a harm reduction measure to avoid interaction with the black market. Many clubs make cannabis oil for patients that are unable to do so for themselves. Clubs also offer support to those who have had problematic cannabis use in order provide education and understanding about cannabis and mental health. The UK Cannabis Social Club is a company limited by guarantee. UKCSC is a nonprofit organisation run by volunteers. No members of staff are paid. Administration and campaign costs each year reach approximately £10,000. This comes from donations, raffles, shop sales, club joining fees, supporter memberships and sponsorship or advertising packages sold to UK cannabis industry businesses. Campaign costs include: Travelling to campaign meetings across the country, hosting and maintaining the website, hiring venues and meeting rooms, organising conferences, the cost of printing promotional materials for awareness days and so that Cannabis Social Club’s can spread a consistent message throughout the UK. We do not currently receive any grants from any organisations or charities but would be happy to talk if you are looking to help take our activism to the next level. If you would like to advertise a your business on our website or make a contribution to our campaign you can get in touch with us at info@ukcsc.co.uk or via the we contact form. The Cannabis Social Club movement started in Spain. Originally composed of small consumers, growers and patients; they collectively grew cannabis for their own personal use. This small model was soon replicated by others to provide a constant supply of affordable, high quality and most importantly safe cannabis for those in the Associations. Some CSCs, decided to take their model further and increase their membership by allowing existing members to invite friends to also become members of the club. They do not advertise or accept under 18’s or take new members that haven’t tried cannabis before. When joining, clubs ask members to give a quantity of how much cannabis they require on a monthly basis and also, what kind. This helps the club factor in how much they need to grow so they are growing to cater to the needs of the member. Costs are usually worked out on the production value and any running costs of the club. They are not for profit entities. Some have smokers’ lounges where you are able to socialise with other members. In the last ten years this movement has proved to be a successful and safe model based on a harm reduction approach with community values. The CSC movement has now been adopted by other European countries such as Belgium, Austria, France, Slovakia and starting in the UK. They did not have permission from the law to start this and even Spanish CSCs are still subject to raids by the police destroying their grows and arresting those running the clubs. They open back up within days because they know they are doing the right thing. From 2007 onwards, the European Commission started a dialogue with civil society on drug policy. ENCOD – European Coalition for Fair and Effective Drugs Policy, has always played a crucial role in the establishment of this dialogue. The promise to do everything to ensure that it will be a sincere dialogue, accessible to all citizens. Check our full list of UK Cannabis Social Clubs here. Come and Share this on Facebook.